Located by the shores of Lake Erie, Ohio is a resort with 253 acres of luxury that consists of 240 well-appointed rooms, an 18-hole Tom Fazio Golf course, and around 50,000 sq. ft. of customizable meeting space. The Sawmill Creek Resort is the proud owner of four restaurants, a 176-slip marina, a shopping center, indoor and outdoor pools, a 500-acre natural preserve, and a very beautiful lakefront beach. Sawmill Creek has been a remarkable destination for those who seek the lake and woodland setting since it opened in 1974. Every season, the resort sets itself apart from others not only geographically but through the experiences it offers as well. It has also developed an uncanny reputation of receiving multiple convention service awards and has been recognized for the breath taking natural environment surrounding its facilities. All this and more has made Sawmill Creek the favorite of local and international tourists alike. While the resort is indeed a great place to retreat from the hustle and bustle of the modern world, it's also a place of many adventures. Next to Sawmill Creek Resort is Sheldon March State Nature Preserve where the last of Ohio's Great Lakes can be found. It is part of the resort's trail walks and is a great place for hiking, biking, or birding, as it is a habitat of many species of wildlife. There are also plenty of exciting activities that guests can go to or sign up for such as listening to live music or enjoying fine dining at the lodge, renting out watercrafts, going to Cedar Point, or touring local wineries. In fact, there are always plenty of things to do here for individuals or groups, whether it be a family vacation or a corporate retreat. There's something worth looking forward to here even for the resort's most discerning guests. 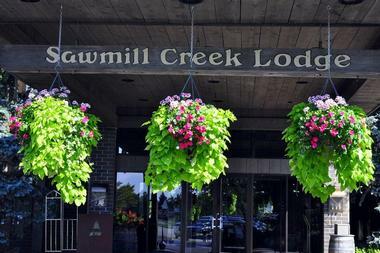 The accommodations at the Sawmill Creek Resort aren't very diverse, but what they do have are various packages that cater to a wide variety of visitors. While some of the packages like the Memorial Day Package are offered on given occasions, most of them actually target the specific interest of guests, allowing them to enjoy the amenities they want at a preferred or discounted rate. The Romance Package, for instance, caters to the romantic couple looking for lots of privacy during their stay. They get deluxe king accommodations and $50 worth of dinner credit, two bottles of wine, and a picnic basket lunch. Adrenaline seekers will want to have special access to Cedar Point where there are thrilling roller coasters and lots of exciting entertainment. The Cedar Point Coaster Package gives guests a whole day at the 364-acre amusement park on top of a deluxe guest room and breakfast at the Salmon Run Restaurant. For a wine tour over the weekend, the Lake Erie Winery Tour Package might be the best idea. 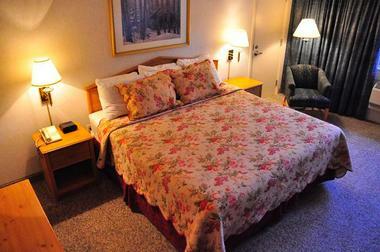 It includes a deluxe guest room with breakfast for two as well as a guided tour of Ohio Wine Country in the afternoon. Guests will be able to witness first-hand the North Coast's best wine secrets and sample delicious wine from locally owned and operated wineries and vineyards. 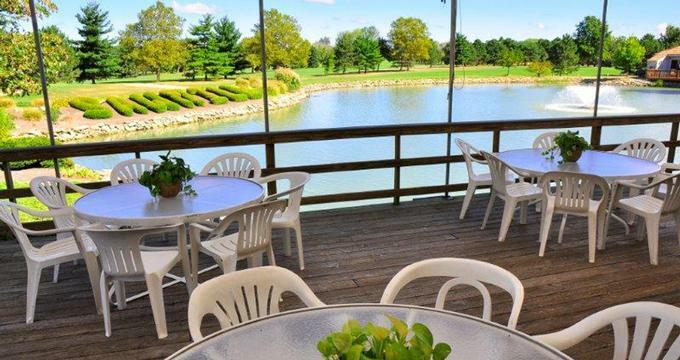 Golfers will be interested in the Lake Erie Golf Package, which comes with a day on the beautiful Tom Fazio 18-hole course just off the shores of Lake Erie. Aside from the deluxe guest room and breakfast for two, guests will be able to play through the 18 holes with their own cart. Planning to explore Sheldon's Marsh? The Lodge Package gives you the chance to admire the beauty of Ohio's last remaining example of a Great Lakes coastal wetland during the day while you are still able to enjoy the comforts of a modern home at night. This covers a deluxe guest room, cocktails, dinner, and breakfast. Guests can also opt to upgrade to one of the resort's fireplace suites for an even more luxurious experience. Guests can also take their car to the islands with the Miller Ferry Islander Package. From there, they can drive around in their own car and experience Perry's Monument, the nation's third tallest of its kind, which was used in the War of 1812. The package comes with an overnight stay for two and breakfast tickets to the Salmon Run restaurant. Another great island getaway comes in the form of the Lake Erie Island Package, which starts guests off with an overnight stay for two followed by breakfast at the Salmon Run restaurant. The Jet Express will then take them to the beautiful Put-in-Bay where they can catch some rays, visit historical sites, eat at unique restaurants, and enjoy the local pubs. For those who want a more flexible itinerary, the Bed and Breakfast Package will do. Their all-purpose getaway comes with the usual deluxe guest room and breakfast tickets (with an option to upgrade to a fireplace suite) and, from there they can decide to enjoy any of the resort's on-site amenities they wish. Sawmill Creek is home to at least five promising and well-recognized dining destinations within the resort alone. On top of the list would be Salmon Run Restaurant, which specializes in America cuisine for breakfast, lunch, and dinner. They even have Sunday brunches for those who want something different for themselves and their families. The restaurant is also big enough for social events, as it can seat up to 150 people. For something a bit more casual, the Black Bear Saloon offers casual American bar and grille cuisine in an environment that's perfect for socialization and a bit of entertainment. There's a dance floor to compliment the well-stocked bar, which is pretty much what makes the Black Bear the resort's finest stop for food, fun, and dancing. This is also a great place to enjoy music, especially on Saturdays when some great musicians are performing. 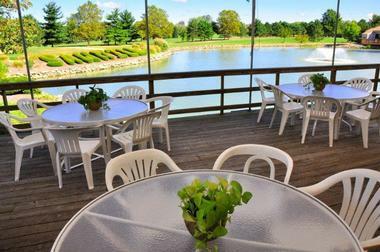 For a laidback clubhouse environment, Mulligan's Pub is a great place to unwind in the outdoors. The place is actually a great venue for conventions and meetings as well. There are beers and burgers to choose from, most of which are local favorites. Guests have a choice between a dining room and the patio setting, so the place is great for all kinds of visitors. Those looking for some wine with their dinners will love Mariner's Dockside, where exquisite wines are paired with dishes that are in season and made from locally available ingredients. The fact that the place is close to the water makes it a beautiful spot to be day or night. With over 50,000 sq. ft. of flexible event space, Sawmill Creek Resort has an entire selection of venues ranging from 350 sq. ft. to 20,000 sq. ft., allowing the resort to accommodate events for between 50 to 2,000 participants. This is great for social events like birthdays, weddings, and family reunions, as well as formal events like business meetings, seminars, and corporate gatherings. Sawmill Creek also offers a wide selection of packages for meetings and corporate summit events. These cover events that last from hours to days, accommodating different numbers of participants. Whether you are entertaining a client, presenting a lecture, or hosting a corporate team building activity, there will be the right package available. The staff at Sawmill Creek knows that no two events are exactly alike. That's why they have a dedicated group of event planners who will work closely with guests in order to make sure that all the details of the event are put into the plans. They will also make sure that all the preferences and requests are addressed, from the accommodations to the venue, acquiring all the necessary tools, equipment, and arrangements to make sure that the entire event runs as planned. 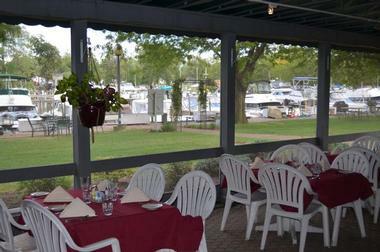 Finally, those who want to go beyond the resort can visit the Mariner Village Marina, a premier resort on Lake Erie where there are fully equipped boats for guests who want to go charter fishing, jet skiing, and try other water activities. Just 45 minutes from downtown Cleveland and Toledo is the resort's 18-hole golf course designed by Fazio way back in 1974. The course is so diverse that it can provide the right challenge for golfers of all skill levels.